Check out this great charm for your charm bracelet collection. 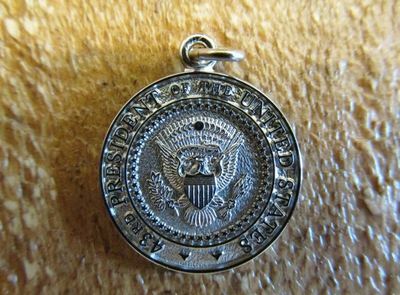 We have the 43rd Presidential Seal. 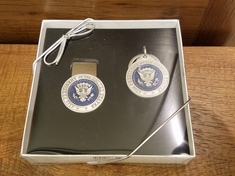 The charm has the Presidents signature engraved on the back side. The charms are made of Palladium and are hypoallergenic as well as tarnish free. Made in USA.